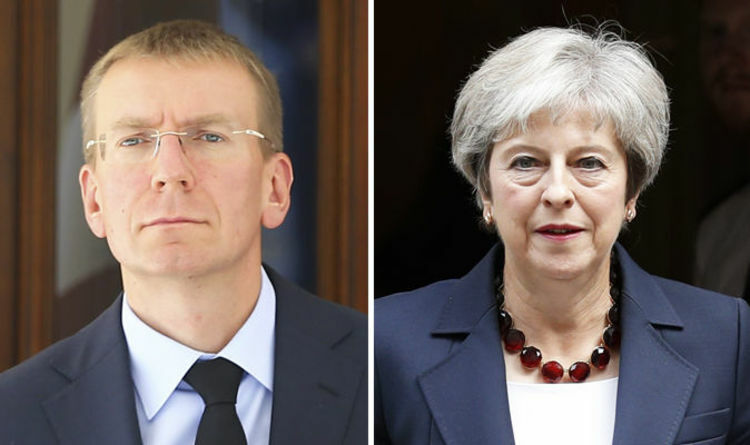 Edgars Rinkevics said it was crucial that the bloc keeps Britain “as close as possible” when the UK leaves the EU next March. And in a stark warning to Brussels, the eastern European minister said Brexit would have “consequences” for the union’s future. Speaking at an economic summit in Krynica-Zdroj, Poland, Mr Rinkevics said: “Brexit is not just a divorce from the European Union. Appearing at the same event, one of Poland’s most senior politicians admitted the EU stands at a “crossroads”. Stanislaw Karczewski, the president of Poland’s Senate, told the 28th Economic Forum: “The European Union is at a crossroads. “We need to think not only about the EU’s successes, but also of mistakes that have consequences. Their comments came as Chancellor Philip Hammond insisted the UK would manage to strike a divorce deal with Brussels. Mr Hammond, an outspoken Remainer, told reporters during a trip to Vienna: “I believe we will be able to get a deal.